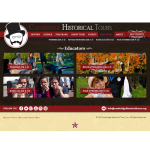 Design for the website of Cambridge Historical Tours, a Harvard Square-based company offering walking tours with costumed guides. 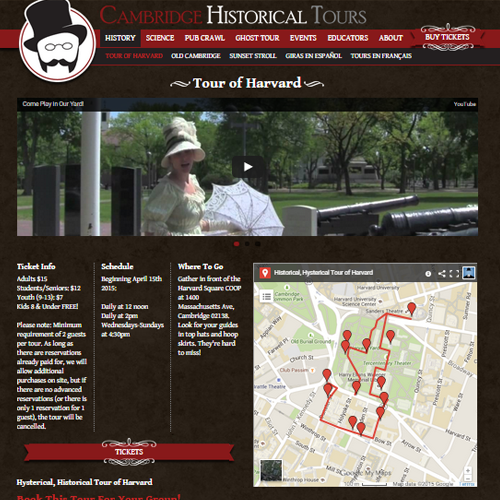 With multiple tour products, the website needs to provide easy navigation and engaging imagery to give a taste of the tour experience. 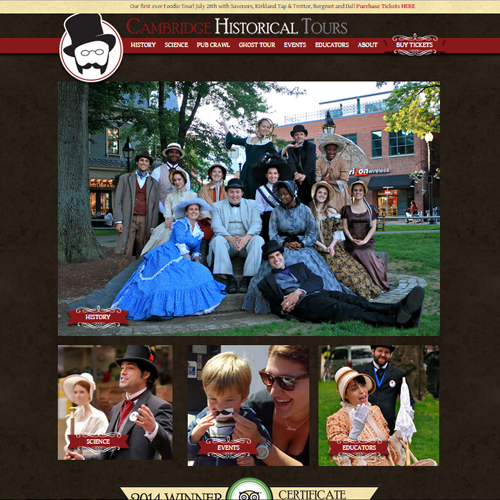 The design is fully responsive to be functional on phones and mobile devices.